Variable-width undercarriage, reduced-tail-swing design, and independent swing boom allow the 17G to navigate narrow openings and work in tight quarters with ease. Rubber tracks’ unique steel cores resist cracking. Large-diameter drive sprockets and track idlers further increase undercarriage durability. 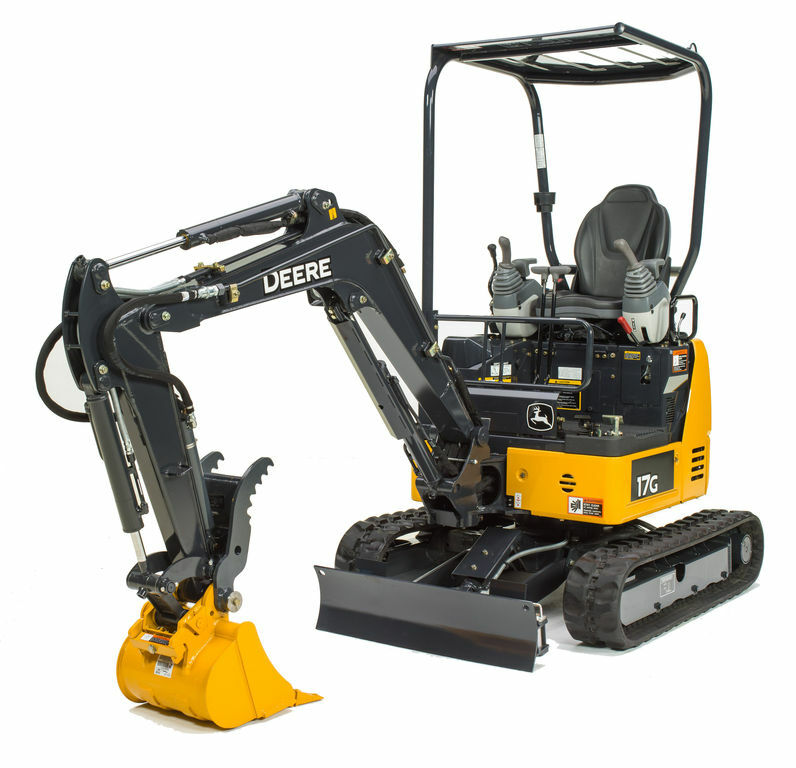 Go from backhoe- to excavator-style controls with just a twist of your wrist. Control pattern selector valve is conveniently located in a compartment beneath the seat and includes a sight glass that displays the selected pattern. High-torque fuel-efficient diesels meet EPA Final Tier 4/EU Stage IV emission standards without after treatment devices — reducing maintenance and expense. Heavy-duty side-by-side coolers enhance efficiency in high-ambient or -altitude working conditions. Nearly unobstructed visibility provides a commanding view of the surrounding jobsite. No tools are needed to access daily or periodic checkpoints. Hinged steel doors swing open wide, for quick and easy service.